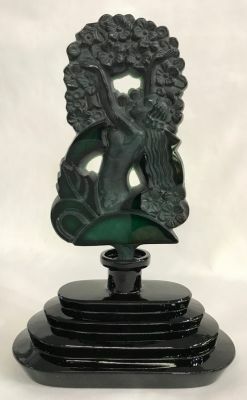 Art Deco Czech perfume bottle. The stopper is carved malachite glass sitting in a black glass bottle. The base is 4 1/4” by 2 1/4”, 6 5/8” high.